This blog is for people who want to know about Moldova and my life in Moldova as a missionary and a member of an international team. Oh dear - I have become so lazy about my blog and I must apologize. There always seem to be a hundred other things to work on at the computer... or, I confess, play. Yes, I do spend more time than I should playing mindless games just to unwind. Of course, I have had a few things on my plate, such as preparing to lead a Bible study at our DayCentre workers training conference, and now preparing a study on 2 Timothy for the leadership level of our Challenge into Missions course. With huge recruiting needs on our team, I have also been spending time in corresponding and connecting with potential new team members and meetings to discuss how we will deal with upcoming vacancies on the team, including my own. Last week we prepared to welcome two teams who were arriving on the same day. 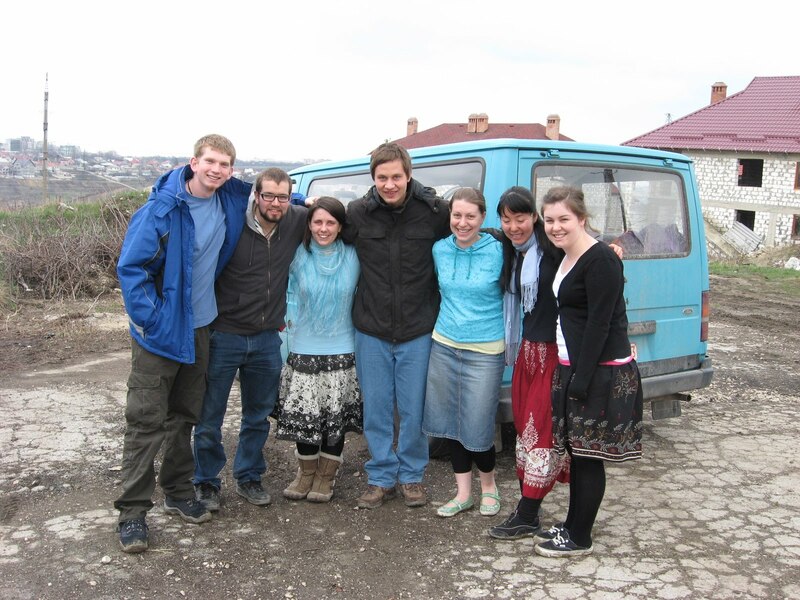 One team - the Transit Challenge team - have been driving across Europe in a van and were coming to spend a month here in Moldova, being involved in various types of ministry. On the same day in which they were to arrive there was a Swedish team of 25 young people flying in to Chisinau for a one-week missions experience. Our team had been preparing to host these groups and in particular my department was responsible for the logistics and program of the Transit team. On a rainy muddy Thursday evening, just as all the Swedish kids were walking in the door of the mission centre, informing us that 14 of them had NOT received their luggage upon arrival at the airport; at the very same moment I received a text message that the Transit team had been turned back at the border because of some problem with documents for the vehicle. A moment of crisis and panic that gradually unfolded into problem-solving mode as various people lent their wisdom and help to deal with both situations. With several phone calls and lots of prayer the Transit team were successful in obtaining the necessary documents and successfully crossing the border on their second attempt. By Saturday, the Swedes' luggage had arrived and was picked up by a fellow team member and safely delivered to the group who by now had gone to the south. It was one of those situations in which our team all pulled together to help handle the crises and everyone went the second mile to ensure that our guests were cared for. As stressful as such times can be, it is always satisfying and encouraging to see the generosity expressed by my team members in their dedication to the Lord. 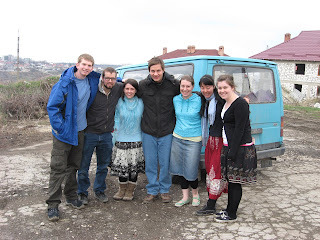 On Friday, after a long day of delays, I travelled with the Transit team in their van to visit our Local Ministry Team in the north of Moldova. 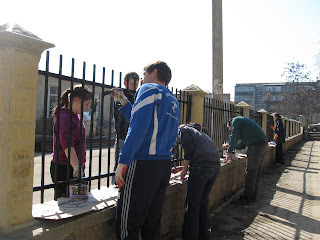 It was great to visit our team there and also fun to see the two teams working together on some practical work to help and encourage the church there. I came home on Saturday and on Sunday the team presented some children's programs, as it was Easter Sunday. 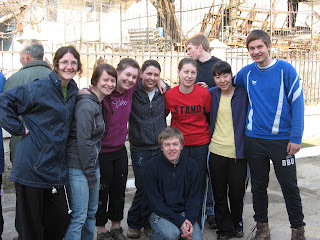 Dana and I and others on our team were involved in providing orientation and later debriefing and evaluation for the Swedish team, who spent their week building a playground in a village in the south of Moldova. 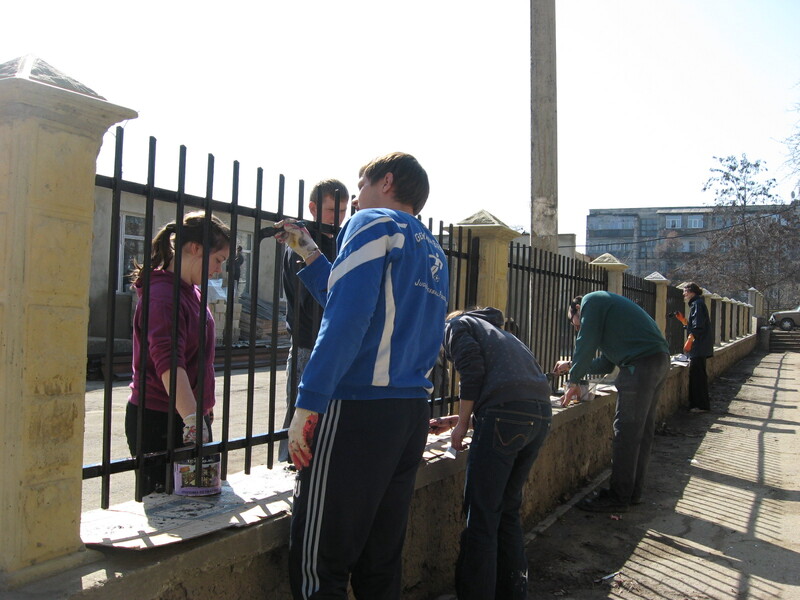 Meanwhile our Challenge into Missions students have been out on outreach and they will be returning this weekend for another week of study at our mission centre. At the same time we will be hosting another visit from the Bus4Life, a big bus that goes around to different villages and presents programs, sells books and does outreach in various communities. It is definitely a busy time and in the midst of all of this I am becoming more and more aware that I will be serving here for just 4 more months. Can this be possible?! It feels like the time is already beginning to fly. Even more imminent, however, is the impending arrival of my third grandchild. I was not really planning to go home for this event and was actually beginning to feel kind of depressed about it one morning on my way to work. As I travelled in the mini-bus, wondering why I was feeling so low I made the decision that yes, I will go home for the coming of the baby, even if I couldn't afford it. The Lord gave me a wonderful peace in my heart upon making that decision. That evening I wrote a note to my missions committee asking if anyone could donate some airmiles to me. The next morning I received a response indicating that a woman in my church would be happy to give me her airmiles - enough to cover my trip to Canada, all the way to Kamloops!! I waited for April 7, Marah's birthday, to tell her the good news - that was her birthday present. And I think she is as happy as I am about it! So now I am starting to sift through my belongings so I can take home a load of things with this visit and not have to get rid of so much or deal with so much stuff at the end of August. Moving house isn't so easy when all you can take is a 50 pound suitcase!! 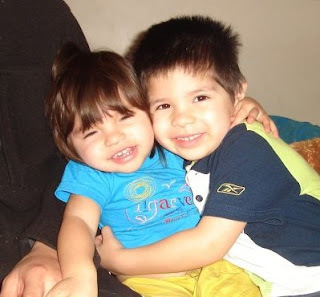 So, dear friends - and especially Inga :-) - this is what I have been busy with lately and why I have been blogless. 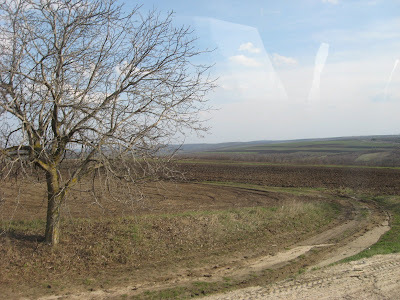 Meanwhile, spring is arriving in Moldova and Easter has come and gone. The Lord is risen! Hristos a inviat! In adevarat a inviat. He is risen indeed. Alleluia! Posted by Barb at 12:17 a.m.
Do you think you could get those ladies in the first picture to knit a few pairs of slippers? 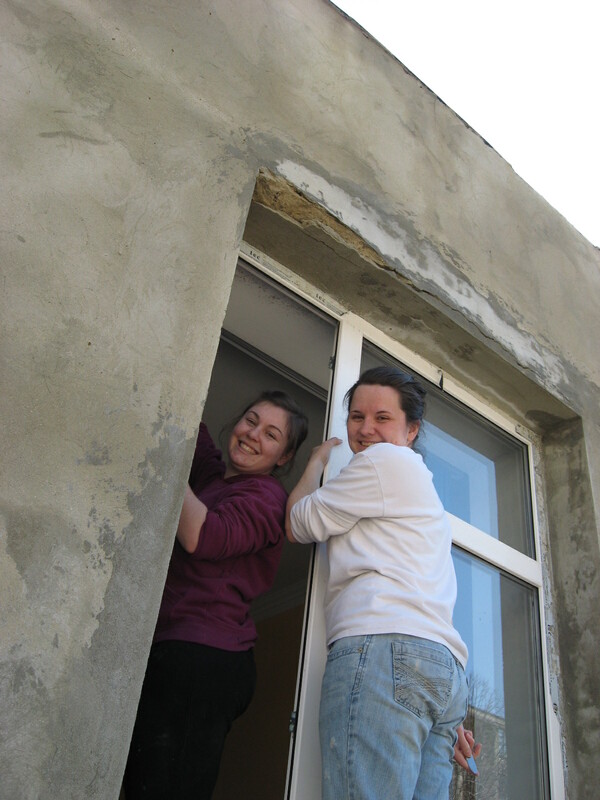 Five years of discovering new things and experiencing God's grace in Moldova have come to an end. Now I am back in Canada but so glad that you have stopped by to hear about my adventures. I'll be sharing more as the Lord shows me the next chapter in my journey. It's an adventure to be alive in Christ, to explore the world God created, and to experience the many cultures that enrich it. I hope that as you read, you too will see a bit of the love of Jesus and the joy of seeking God's Kingdom. The Lord loves you more than you can think or imagine! "Praise the Lord, all you nations; extol him, all you peoples. For great is his love toward us, and the faithfulness of the Lord endures forever. Praise the Lord."